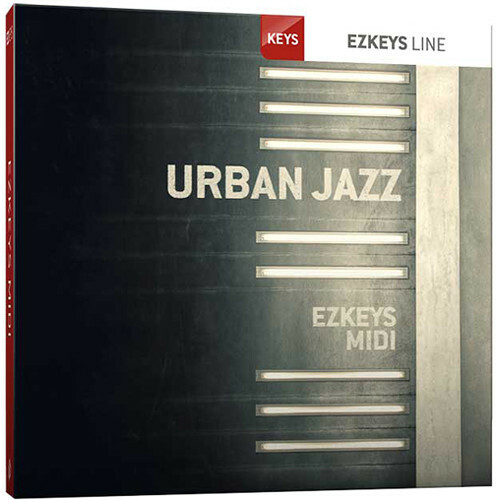 Designed for producers who want the sound of smooth jazz in their productions, the Toontrack Urban Jazz EZkeys MIDI pack is a bundle of MIDI patterns, chords, runs, licks, and more, all played by a session piano player. Download these patterns and build urban or smooth jazz progressions around them, colorful progressions that make use of all the harmonically challenging chords often employed in this funky subgenre. Use these patterns for ballads and up-tempo fare alike, as these patterns feature tempos ranging between 63 to 142 BPM. All the patterns come in 4/4, and they feature straight or swing feels. You get intros, verses, choruses, pre-choruses, and bridge sections, all inspired by artists like Brian Culbertson, Lee Ritenour, Norman Brown, Fourplay, and others. Please note, this download only contains MIDI files. It requires a previously purchased copy of any EZkeys virtual instrument to operate.